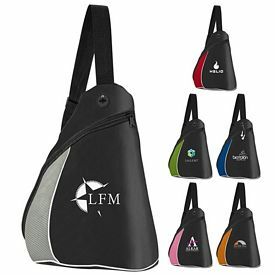 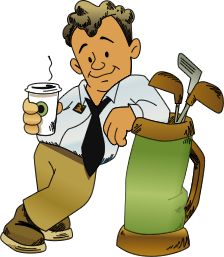 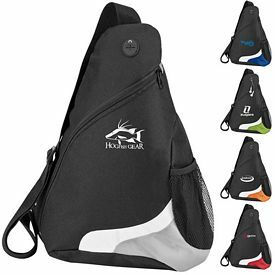 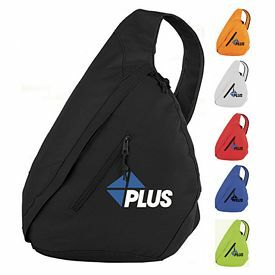 We have designed a plethora of promotional sling bags that can be given away as promotional goods without paying any setup fees. 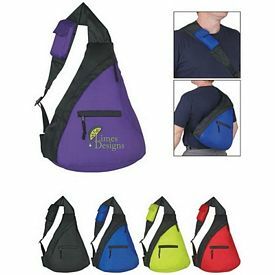 Our fun style customized adjustable Sling backpacks are made of a combination of 600D polyester and dobby non-woven material. 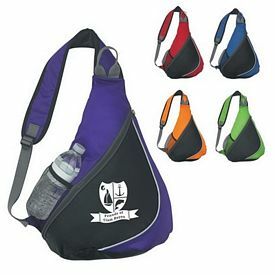 The main compartment comes zippered with a mesh side pocket. 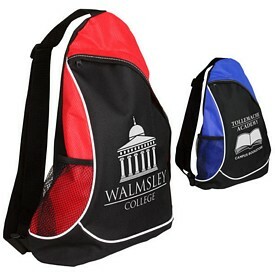 The gray and black trim sling bags are available in royal blue, red, black or lime green. 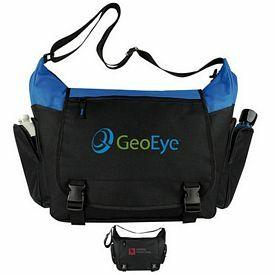 We have a free 24 hour rush service on all the promotional sling bags. 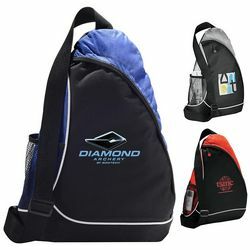 The material is 600D polyester with padded polyester air mesh backing and trim. 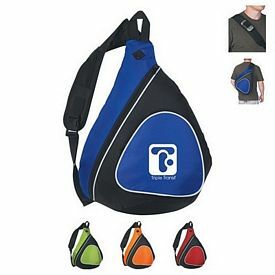 The padded adjustable shoulder backpack has a built in mesh cellphone holder. 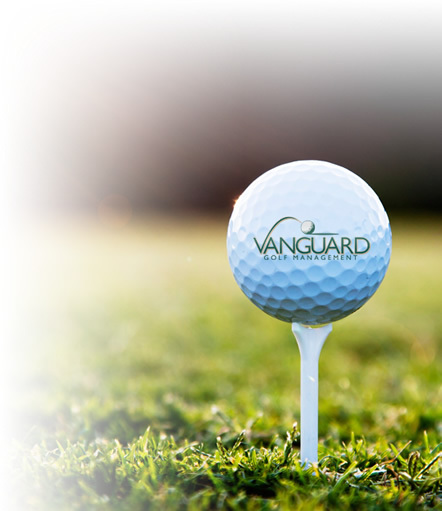 Free artwork eproof and a one color logo imprint are done. 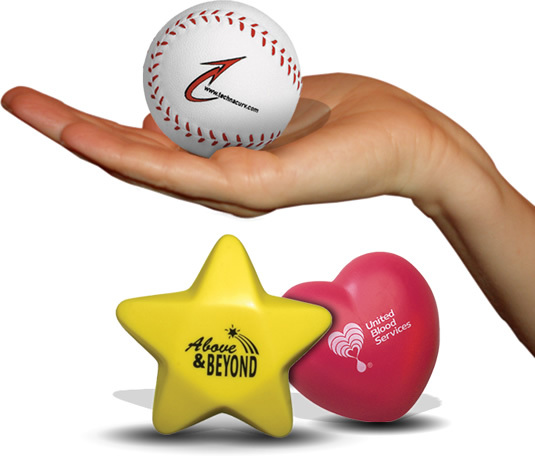 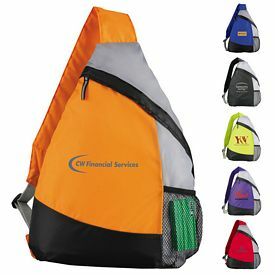 We charge no set up fees for customizing your logo. 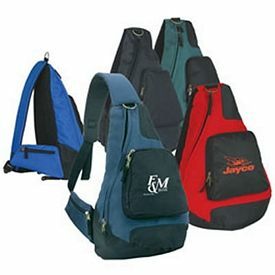 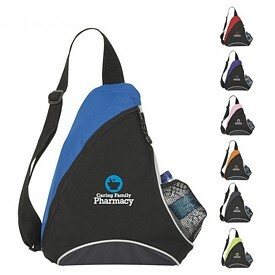 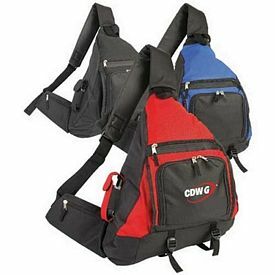 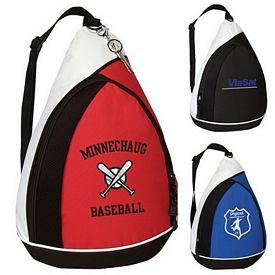 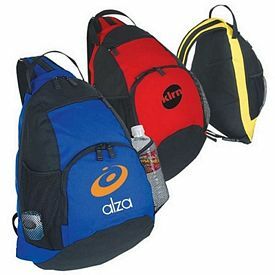 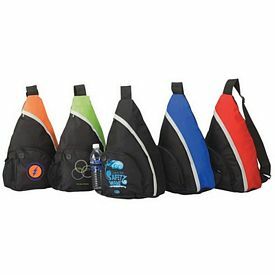 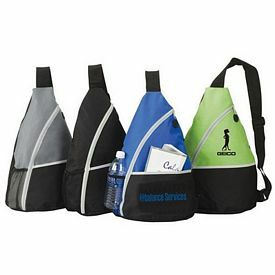 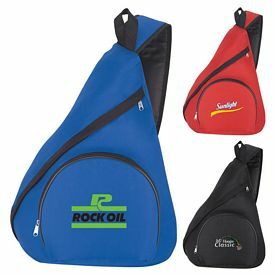 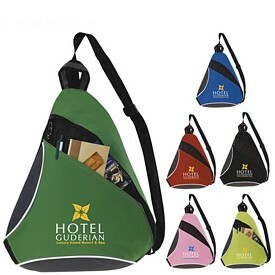 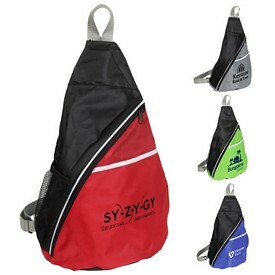 You will get the promotional sling bags in attractive colors like red, black, navy or forest green. 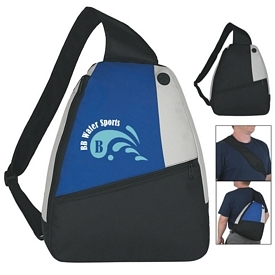 A uniform black and gray trim is given to all the branded sling backpacks. 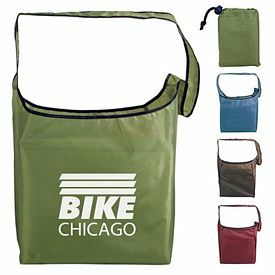 Free 24 hour rush service is provided. 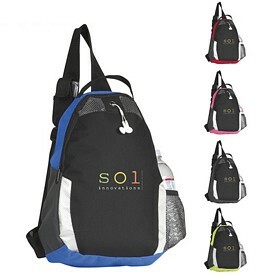 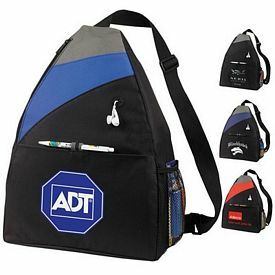 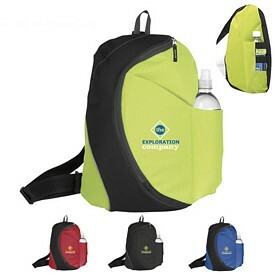 Our promotional Atchinson Eclipse computer customized sling backpacks have excellent features including a zippered main compartment, a zippered front pocket, an organizer panel, mesh water bottle pocket, mp3 compartment with custom headphone port, laptop compartment, zippered multi-media sling pocket and a padded adjustable shoulder strap. 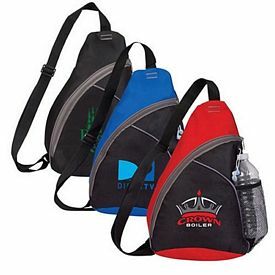 Our promotional sling bags can be availed in royal or charcoal color. 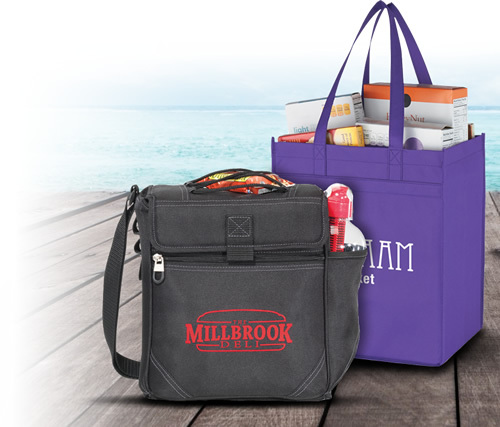 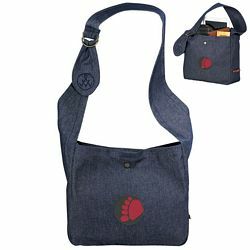 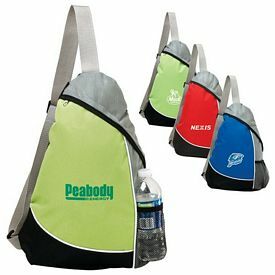 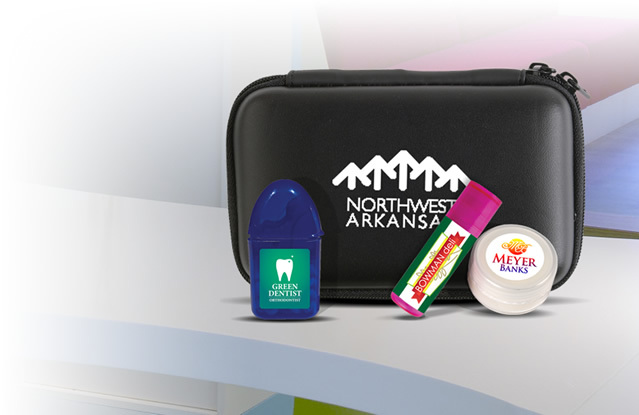 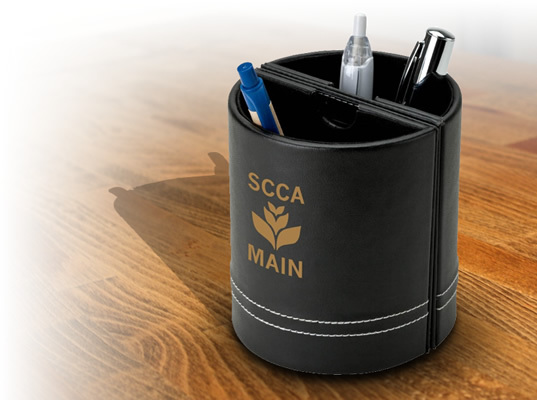 We will recommend you to opt for light imprint colors so that the promotional computer bags can maintain their classy look. 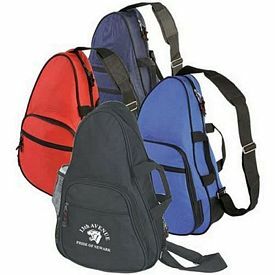 The Sovrano Ceros sling promotional computer bags or custom laptop cases have a side zip compartment. 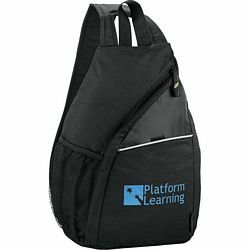 The built in neoprene laptop pocket can easily hold a 15 inch laptop. 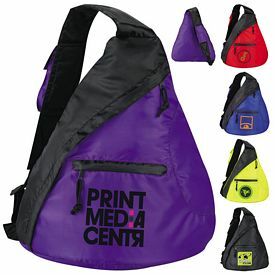 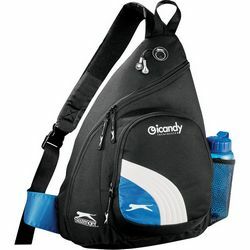 A media pocket with media hole, two front zippered pockets, accessory pockets, an organizer, side mesh pocket, top handle, padded back and single adjustable padded strap are some of its remarkable features. 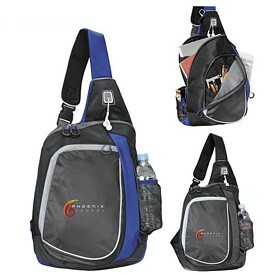 If you are looking for executive bags, then our customized Vortex Deluxe Sling Bag can be one of your top choices. 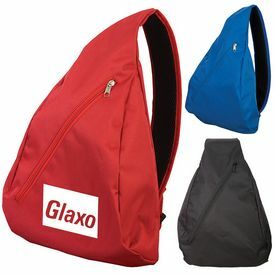 The main highlights of the executive sling bags include a zippered main compartment, interior zippered mesh pouch, mesh portable music player pocket, headphone port, zippered front pocket with two interior pouches, open front pocket with Velcro closure, quick access mesh pocket with elastic band, cell phone pocket attached with a Velcro closure, and a padded adjustable shoulder strap which has a built in zippered accessory pocket. 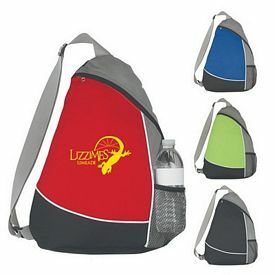 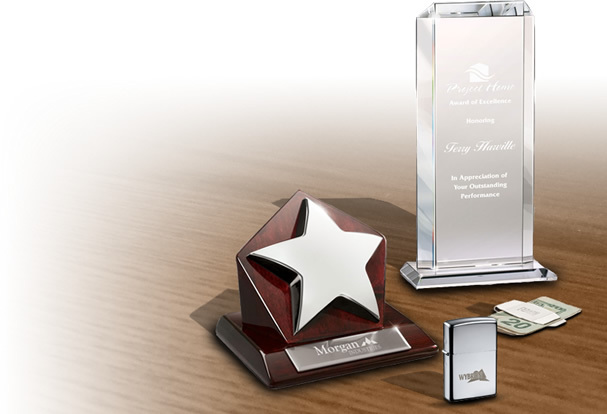 The price includes a free artwork eproof and a free one color logo imprint. 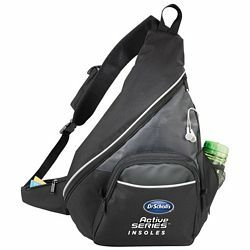 No setup fee is charged on the black 600D polycanvas deluxe sling bag. 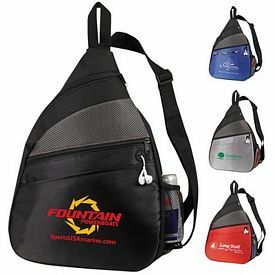 Free 24 hour rush service is available on the products. 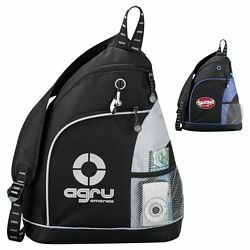 Our custom urban sling backpacks can be used as travel bags. 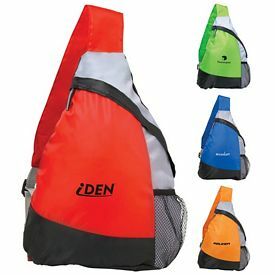 The 600D polyester and air mesh bag provide a large capacity main compartment. 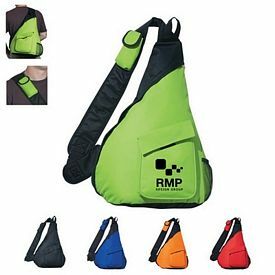 There is an mp3 pocket with earphone outlet and side mesh beverage/accessory pockets for travel accessories. 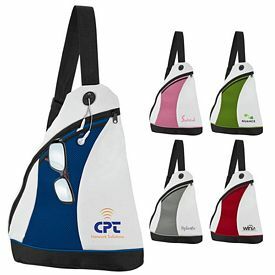 We have added a cell phone holder on the adjustable shoulder strap for convenience. 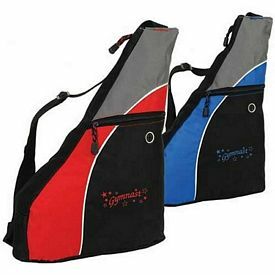 The urban personalized travel bags are available in black, blue, or red color.